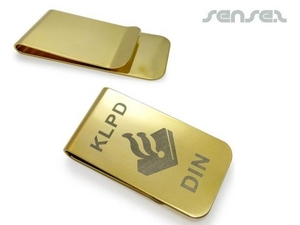 Nothing suitable in promotional money clips? How about custom branded custom cufflinks, logo printed corporate trolley coins or one of our promotional fortune cookies? 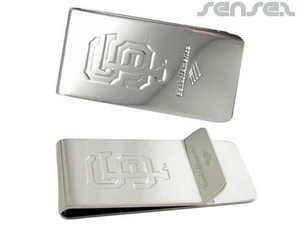 Unique promotional money clips are an ideal men's promotional tool for the finance sector! Have your logos engraved or printed onto a money clip and remind your target market of your brand every time they spend any money. 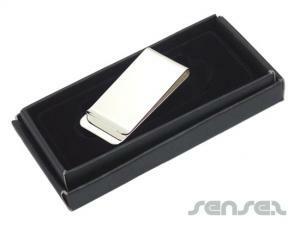 A money clip makes a practical gift that will last. Branded money clips are always worn in your clients pocket and act as a constant promotional reminder of your company brand. 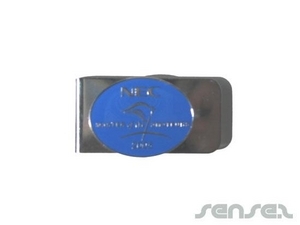 Promotional Money Clips also make effective promotional gifts for mortgage companies, retail brands or banks!